One of the essential components of the FLO Living protocol is management of blood sugar. 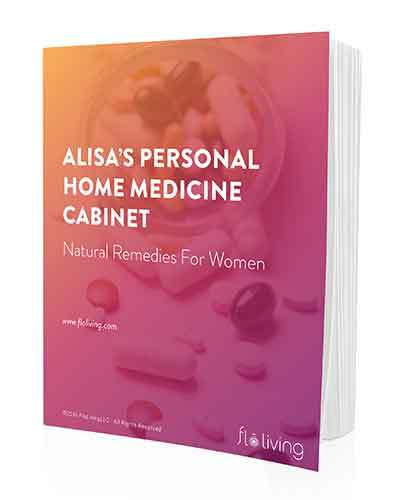 Not one woman who works with me to resolve her PMS, cramps, low libido, PCOS, or infertility starts out with stabilized blood sugar. You’ve probably heard a lot more lately about how sugar is the source of many health issues. There has been a campaign, backed by the World Health Organization, to tax sugar like tobacco and other dangerous substances. New research has shown the sugar lobby deliberately hid the science from the American public and paid scientists to shift the blame for obesity onto fat. New studies have revealed that sugar is making us fat and making us sick, with a link between sugar consumption and many chronic diseases. All signs are pointing towards the need for us to move on from sugar and get to grips with our consumption, as well as learn how to manage our blood sugar levels. Of course, sugar is not just sugar – it’s white sugar, and brown sugar, white carbs (ie. bread, pasta, potatoes), agave, maple syrup, cane sugar. There are so many ways in which sugar is now packaged, but also so many alternative sweeteners out there, that while marginally better than refined sugar, still have the same negative impact on our blood sugar levels and therefore our overall health. It’s not that I avoid, or expect you to avoid, sweeteners entirely – but we do need to choose the right kind of sweeteners and use them in controlled, small amounts. So, how does this relate back to your hormones? As I said, an essential component of the FLO Living protocol is stabilizing blood sugar and the first step is cutting back on sugar. Our bodies and brains need glucose as fuel – so we do need some sugar, just not as much as you’re probably eating at this time. It takes a concerted effort to avoid over-consuming sugar and to keep your blood sugar in check. Your endocrine system perceives mismanaged blood sugar as a stressor. Your adrenals glands respond by sending out a lot of cortisol (the stress hormone) and adrenaline. This begins the hormonal havoc. When you eat sugar or carb-based food it stimulates your insulin response. Your metabolism is designed to preserve the glucose you receive from carbs or sugar, because your body and brain needs it for fuel. Sucrose and other kinds of sugars have to be converted into glucose for your body. The only way the glucose can get into the cells in your body that need it is with insulin. When you eat a lot of sugar or carbs, and there’s a ton of glucose in your system, your body sends out lots of insulin to deal with this. Your body is saying – “I want to save this glucose for the brain and body now as we don’t know if we’ll get it again” (consider this evolutionarily – early woman only got glucose via fruits and berries very occasionally). Our bodies are actually better designed to get fuel from fat than from sugar. The glucose in your body enters the cells, but there’s excess insulin and glucose. Your body doesn’t need all that much glucose and cannot use it all. It is then packaged up as glycogen. This is why sugar-holics, like alcoholics, can have fatty liver disease. This glucose over-exposure saturates your cells and sends your blood sugar levels soaring and then crashing. A glucose and insulin spike disrupts ovulation – preventing your hormones from triggering ovulation and the creation of progesterone as a result of ovulation. Disrupted ovulation causes hormonal imbalance – without ovulation you cannot produce progesterone, which leads to estrogen dominance. Your fat cells in your body secrete estrogen. The more sugar you eat, the more fat cells you create, the more estrogen they secrete. This estrogen adds to the estrogen your endocrine system produces. Add in xenoestrogens in our environment. You’re set up for estrogen dominance, progesterone deficiency, and hormonal imbalance. This hormonal imbalance is a root cause of common issues like PMS, cramps, irregular cycles, acne, along with PCOS and infertility issues. If you have insulin-resistant PCOS then having excess glucose in your bloodstream will cause inflammation, which leads to many chronic health issues. 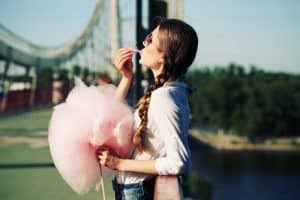 Now you understand the science of why sugar messes with your hormones, let’s look at how to can cut back on sugar and detox it from your diet. Giving up sugar can seem really hard, but know that it doesn’t mean you can’t have anything sweet ever, far from it. You can still have treats and desserts, even, you just need to be conscious about the kind of sweetener and the amount you are consuming so you always have an eye on maintaining that blood sugar stasis. Eat a good breakfast within 90 minutes of waking up for the day. It’s a great way to safeguard your blood sugar stasis. Make lunch your biggest meal of the day and include complex carbs (like black beans) and good fats (like avocado). When you do have a sugar craving – reach for the kind of sweeteners that don’t cause as much disruption. I find honey and coconut nectar are good substitutes, but date sugar and molasses can also work well. Make homemade sweet treats so you can satisfy those cravings and not feel the need to reach for a candy or cupcake, using honey or coconut nectar in small amounts. Aim to use only ¼ of cup or 4 tablespoons of sweetener for any recipe. Eat lots of fiber-rich foods to detoxify the liver – this will help you create more of the FGF21 hormone that prevents sugar cravings and will detoxify your body of excess estrogen. Watch out for hidden sugars in everything from pasta sauces to bread when you are grocery shopping. Remember that fruit-based juices and smoothies that don’t contain much fiber can have as negative an impact on your health as a can of soda. First, do you get sugar cravings? Second, do you think you have a hormonal imbalance? I have just spent a month minimising sugar and my period was pain free!!!! I love sugar and have always struggled with it, but once I learnt that PMT can lead to dementia and other scary health issues I started to take all this [my health] more seriously. I now only have a little dried fruit after my evening meal and some fruit and nuts/seeds in the afternoon as a snack [sometimes]. One thing that helped was after dinner and washing up, I hang a hand written sign that says ‘Kitchen Closed- due to health issues’……..The main thing that has helped me has firstly been my own personal suffering and then secondly seeing how fast I have been able to change terrible menstrual symptoms all by myself through food! Now I am looking into fermenting my own veggies and making kimchi as i only want to get sick about once a year!!! I am inspired by my own body…but not that long ago I felt scared by my lack of sugar control. I even made it through the usual sugar craving pre-period i go through, but it was easy because i had already balanced out a lot of the sugar balance in my body before I got my period again! Thank you so much Alisa, you have really informed me very, very well indeed! I have a question. I don’t eat white rice or pasta or any other kinds of sweets. It was a difficult transition but I made it. I do somehow think that even plain oatmeal (rolled oats) and raisins or even the occasional sweet baked sweet potato sometimes tastes really, really sweet to me after not having regular sugar. Hi! I think it is so important to educate people about the effect excess sugar consumption is having on their bodies! Because of the sugar lobbyists, many Americans don’t even know that there is actually a recommended amount of added sugar-per-day–or that they are consuming WAY more than is considered safe or healthy! However, I do have to point out one major inaccuracy here in the statement, “The only way the glucose can get into the cells in your body that need it is with insulin.” Contracting muscle cells actually have an insulin-independent process to uptake glucose and use it for energy. This is why exercise is a GREAT way to help regulate blood sugar! No conversation about insulin, blood glucose, and sugar intake is complete without a solid nod to exercise. Also my endocrinology professor is probably thrilled right now. Yay, science! I wrote a little inspirational story about how I cut back sugar and how the skin on my face greatly improved and all I got was a less than inspirational response from the Floliving team.. Kind of disappointing…..
Hi Alisa, I’ve recently been diagnosed with a beginning insulin resistance (and not so recently with PCOS, which was confirmed again through recent blood work). Now a friend told me that her doctor suggested for her to skip proteins and eat more carbs at dinner to lower her morning blood sugar. That sounds a bit like the opposite of what you are suggesting for dinner, e.g. in the Woman Code book. Can you help here? I love your work, thanks for shedding some light on my path to a healthy hormone system! Yes, I recommend the opposite, to give the liver a break at night to support healthy blood sugar. The meal in the AM should be within 90 minutes of waking, the sooner the better, to keep blood sugar from dropping. I’ve been trying 5:2 for 6 months and, in the past month, combining in with 16:8 and discovered a lot of health benefits as a result (digestion problems and gum issues have cleared). I find that if I have any breakfast (be it kefir & nuts or porridge), it kicks off all sorts of cravings by mid-morning whereas if I wait until lunch to eat, I can keep my cravings under control. So your comments about eating within 90mins of waking are concerning for me… I don’t know what to do! !